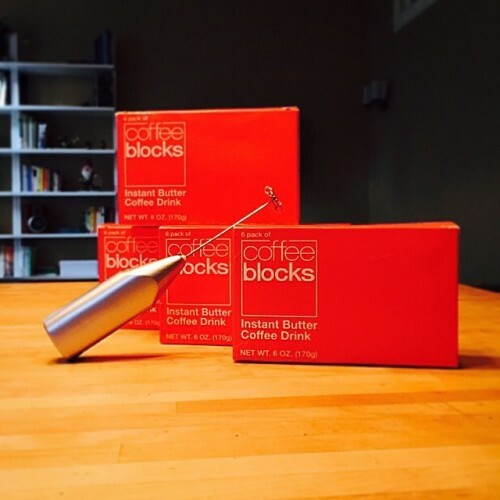 Giving my new @coffeeblocks coffee a whirl this morning! Grass fed butter, EV coconut oil, free range egg yolks, fair trade coffee and vanilla extract. Sounds like my kind of ingredient list.